Let us design and build your solar net metering project! Net metering allows an electricity user to install a solar PV facility onsite to generate electricity for internal use, with any excess going to the grid for a credit on future electricity bills. Net metering has been an option in Ontario since 2015 and is governed by Ontario Regulation (O. Reg. 541/05: Net Metering). However, only recently has the price of electricity and the cost of installing a solar PV facility made net metering with solar PV worth considering. the company’s reputation, which will benefit from generating “green” electricity. Why Solar Net Metering, now? The Ontario government has mandated that electrical providers, Local Distribution Companies (“LDC”) allow their customers to offset their electricity use by generating renewable energy. This is called Net-Metering. Solar prices have come down and electricity costs have risen. The point where net metering makes sense for your facility may already be here. Let us tell you if that is the case. Even without a government incentive, there is a business case to be made for Solar Net Metering. 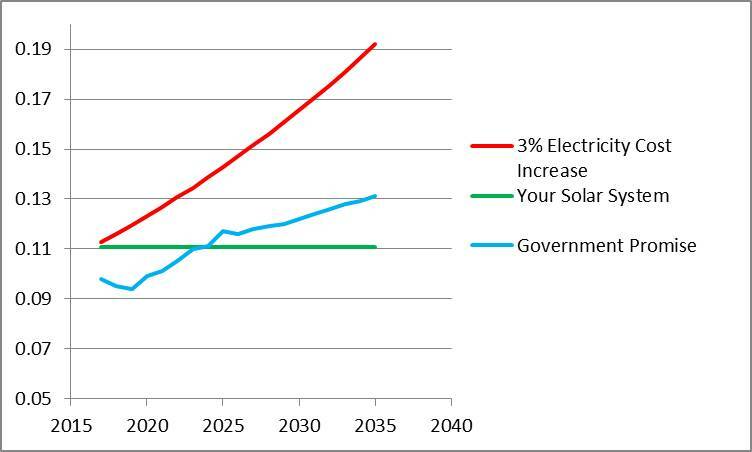 The chart below shows your cost of electricity for the next 30 years. You can determine your own opinion on what the prices of electricity are going to be in the future. The green light below is YOUR Solar system. ORTECH's Solar PV Expertise Comes From Our Consulting Experience. ORTECH will utilize our organization’s breadth of experience. We combine different areas of expertise, from project development to operation and maintenance, providing effective solutions for the evaluation, design, installation, operation and maintenance of turnkey solar PV facilities. This will include the expertise of ORTECH’s parent company, Kontrol Energy Corp., which has extensive solar project development experience, and ORTECH’s sister company Efficiency Engineering, which has solar PV facility design and construction expertise. ORTECH has worked on over 1150 solar PV facilities in Ontario, including feasibility studies and financial analysis, technical reviews and audits, and construction management. Insurance Support and Consulting Advice you can count on! Ask us how! ORTECH has a long history of auditing, appraising and evaluating renewable energy facilities and energy storage projects across Canada. This covers all solar power, wind power, biomass, hydro-electricity projects including energy storage facilities. This experience lends itself very well to assisting both insurers and asset managers with insurance issues. For insurers, ORTECH can help with initial appraisals and with validating claims. For asset managers, we can help reduce your insurance premiums by determining your actual replacement costs. As engineers who speak finance, our team has worked on over 1200 renewal energy projects in the last nine years. There are a number of reasons to be engage ORTECH on your next insurance issue or project. With a specialized process for due diligence, ORTECH’s experience spans multiple renewable energy technologies including solar, wind, small hydro, biomass, and the energy storage market (batteries, flywheel, hydrogen and compressed air). Our team has worked on over 535 compliance audits of renewable energy facilities for provincial regulators, and provided technical and financial due diligence to lenders and investors for over 600 renewable energy projects. Having trained auditors allows for faster turnarounds on project deadlines. ORTECH has a team of engineers that understands renewable energy capital and operating costs, and financial models. Claims Support: ORTECH can review claims including their validity, the amount of loss that is claimed, and the revenue loss due to disruption of operations. Replacement Cost: ORTECH can review existing replacement cost values or develop new ones for ever-changing markets, including removal or disposal of existing or non-operational equipment. For busy Underwriting departments, ORTECH has been successful at turning around projects quickly and even developing new, more efficiency processes when working with various clients. Our experience and knowledge will allow a claims manager or underwriting executive to make the right decisions. Replacement Cost: ORTECH has been engaged to develop new or updated cost information for asset managers when their insurance has to be reviewed. Our clients find they get less resistance to reduction in premiums when a third party independent engineer’s report accompanies their insurance application. Claims Management: Determining claimed expenses can be tricky. You want to be made whole but determining the costs and proving them is difficult. ORTECH’s reputation and experience allow the insurance company to recognize the validity of the costs. It generally speeds up the process when the insurance company understands your efforts to generate a valid and realistic value for your claim. With the costs of building renewable energy projects declining and the constant pressure to improve returns on investments on your renewable energy facilities, it is best practice to review the value of your facilities and go to the market for insurance estimates every couple of years. Your premiums are linked to value of your facilities, so it is always good to hire an independent consultant to provide you with a proper valuation, supported by current data. You should discuss any changes to your insurance policy with your debt financing firm. ORTECH looks forward to speaking with you about how we can assist you with your renewable energy insurance needs. For further information, please contact Michael Tingle. ORTECH can develop ground up solar resource assessment for input into the financial model. This is completed in conjunction with the project design in order to advise the optimum selection of equipment, fixed or tracking racking systems for example. The resource assessment will use site specific solar resource information triangulated from nearby reference stations. ORTECH uses industry standard software packages to estimate the solar resource at the Project site, Meteonorm and PVSyst. These tools provide a high quality estimate of the potential output of a solar array. However, ORTECH's experience in the application of these tools including use of site specific weather data and appropriate degradation and loss factors is vital to ensure the software presents an accurate estimate of the potential energy generation from the solar farm. ORTECH has worked extensively on solar farm economics, estimating costs and the performance of operating solar farms. More importantly, we have experience in working closely with equity sponsors throughout the development process to revisit the financial model and input assumptions at every step of the development process. To better understand and manage these factors, ORTECH has developed a strong in-house solar resource assessment team that can optimize solar farm layout, explore the suitability of various solar panel models and is fully integrated with the financial modelling process. We also have developed a thorough understanding in estimating capital and operating costs through forecasting and backcasting work on past projects. Developers struggle with identifying land for various renewable energy projects. There are so many variables: RFP guidelines, land classifications, connection options and permitting risks. That’s a lot of expertise and effort required to vet just one site. ORTECH has a solution that allows developers to concentrate on real projects and reduces the wasted-time of investigating potential land sites. Solution: ORTECH has a database, GIS tool and process that can identify land for your project. This solution takes into account the IESO rules, connection points, environmental permitting risks, land classes, and amount of land needed for your project to be viable. What you GET! A fully vetted list of project sites that can be developed into renewable energy projects. Determine what technology you want to develop including nameplate, general location and land characteristics. This is done through a survey. ORTECH presents a licensed map to client. This high level map shows zones of Ontario that would potentially be viable for a project site. Client chooses zones of interest. Initial project zones are presented to the client for approval. Present list of properties for acquisition. ORTECH has a versatile GIS department capable of providing services for many different market sectors. We have been offering GIS services standalone, and as a complement to all of our Air Compliance & Testing and Renewable Energy services. ORTECH’s GIS department has been involved with countless spatial analysis projects. Using our expertise and up-to-date technology, we have performed constraint mapping and spatial analysis for a variety of projects in the renewable energy, government infrastructure and environmental consulting fields. From spatial and suitability analysis, site layout and design, to imagery analysis (to name but a few), ORTECH GIS is a malleable shop capable of adapting and performing to your project needs. Large Commercial Bank: Vendor of Record for rooftop solar projects due diligence for commercial banking across Ontario. Silvercreek Solar Farm in Southwestern Ontario: Silvercreek retained ORTECH to provide advice in regard to comparative suitability of different types of solar modules, analysis of output and financial structure of the project, construction management, information memorandum, and other project related tasks such as financial management. 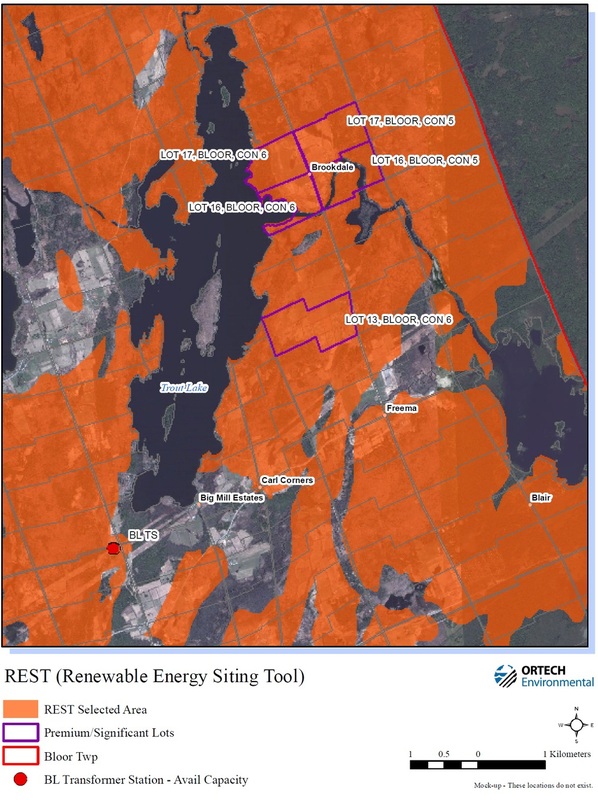 The project, located near Aylmer, Ontario has reached Commercial Operation Date (“COD”) and ORTECH is assisting Silvercreek in operating the solar farm. Solar Developer/Aggregator: Provided this equity investor/developer with due diligence services for eight (8) rooftop solar projects participating in the Ontario Feed in Tariff (“FIT”) program. Spanish Solar Developer: Assisted Solar developer with Engineering, Procurement, and Construction (“EPC”) RFPs, blind Information memorandum, financial model, and solar resource assessment for two (2) ten (10) MW solar farms in New Jersey’s Solar Renewable Energy Credits (“SREC”) program. Ontario Power Authority: One hundred and eighty seven (187) audits of existing or operational solar projects participating in the Ontario Power Authority (“OPA”)’s FIT program in the last eighteen (18) months. In addition, ORTECH concluded sixty seven (67) audits of constrained solar projects in the summer of 2014. Large Solar Developer in Ontario: Review of two (2) ground mount solar projects including performance assessments and site visits. Boutique Debt Provider: ORTECH reviewed eighteen (18) rooftop solar projects for debt financing in the FIT program. Large Canadian Commercial Bank: Five (5) due diligence engagements for COD rooftop solar projects looking for debt financing. Government Agency: Assisted governments’ consultant in providing financial analysis of FIT costs in 2009 and 2011. Government Agency: Assist government agency with detailed analysis of pricing of solar, ground mount and rooftop, for the purposes of setting new FIT prices. 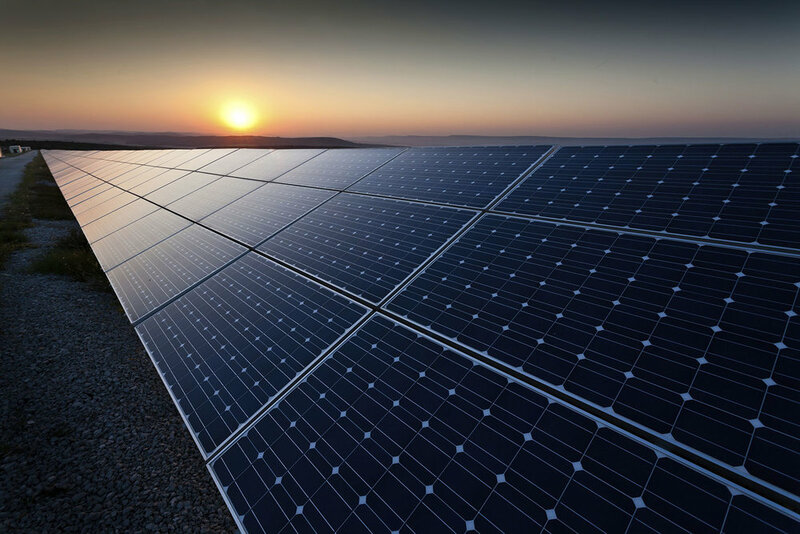 Local Distribution Company (LDC): Provided due diligence for a ten (10) MW solar farm in Ontario with a FIT contract including creating a new solar resource assessment. Large Canadian Commercial Bank: ORTECH reviewed all technical components for the Bank’s due diligence process including Power Purchase Agreement (“PPA”) status, connection impact assessment (“CIA”), equipment vendor proposals, domestic content, financial models, constructability, solar resource assessments and insurance (one hundred and thirty six (136) projects to date.). Large Real Estate Developer: ORTECH assisted developer in securing an equity position with a solar developer with a FIT contract. Engagement included due diligence, management consulting and term sheet development. Chinese Solar Developer: ORTECH reviewed six (6) sites for this equity investor for a variety of one hundred (100) kW to two hundred and fifty (250) kW rooftop solar projects in Ontario. Rooftop Solar Debt Financer: ORTECH reviewed three (3) five hundred (500) kW rooftop solar projects in Ontario for a regional debt provider. Large Financial Institution: ORTECH provided services to assist in developing risk management criteria for a commercial loan process for roof top solar projects including financial models, risk tolerances and vendor selection criteria. Large Multinational: ORTECH was engaged to build a pipeline of viable ground mounted and rooftop solar projects within the FIT program. Large Spanish Solar EPC Contractor: ORTECH was engaged to develop a pipeline of viable shovel ready ground mounted and roof top solar projects. Large Renewable Energy Developer: ORTECH helped a developer review a wind project and convert to solar including financial model, solar resource assessment, site development, transmission assessment and renewable energy approval risk assessment. Rooftop Solar Developer: ORTECH was engaged to develop roof top solar layouts and perform feasibility studies including structural and electrical assessments. Local Rooftop Solar Developer: ORTECH acted as project advisor for twelve (12) rooftop solar projects including CIA interconnection, financial modelling, vendor management, and owners’ representative services. Solar Developer: ORTECH provided project feasibility services including ground mount solar farms prospecting, solar resource assessment, financial modeling, renewable energy approval assessments, project name plate, and interconnection assessments. Ground Mount Solar Developer: Site feasibility and transmission assessment for ground mount solar projects. Canadian Green Energy Management: Ground mount solar feasibility work including solar resource assessments, layouts, financial models and vendor research for domestic content and warranty.